I'M TOO STRESSED TO STOP. I'LL GAIN WEIGHT IF I QUIT. I'VE TRIED AND FAILED TOO MANY TIMES TO COUNT. Why are you still smoking, even though you want to quit? Based on twenty years of research and hands-on work with countless smokers in his clinics at Columbia University and New York Presbyterian Hospital, Dr. Daniel F. Seidman understands that people smoke -- and quit -- for different reasons and what works for one smoker might not work for another.  Are you a Situational Smoker? Monitoring your reactions in different situations is a step toward permanently losing interest in cigarettes.  Are you a Worried-about-Weight Smoker? Properly using treatments like Nicotine Replacement Therapy (NRT) can help you quit and get healthy in all aspects of your life.  Are you an Emotion-Triggered Smoker? Scheduling your smoking breaks and sticking to a rigid "smoking schedule" helps break the link between stressful situations and craving cigarettes. When I asked Dr. Seidman to join me on The Oprah Winfrey Show in early 2008, the topic of the hour was smoking: why people do it, and how they can stop for good. Dan was an ideal guest because, as the head of the Smoking Cessation Service at Columbia University Medical Center, he impressed me with his experience, knowledge, and wisdom. He has long been our expert doctor to whom we refer patients struggling with smoking addiction. I have seen firsthand the effects of his program—how it helps even the most hardened smokers, people who have tried and failed repeatedly to stop smoking, to kick the habit for good. Since that show aired, a law was passed in the state of Maine forbidding adults to smoke in a car when kids under age 16 are present. These kinds of public health initiatives are wonderful, and they can change the social environment by sending strong messages about health and behavior. However, while such laws create a need and a demand for services to help people stop smoking, they do not automatically translate into a tobacco-free life for the individual smoker, who is often bewildered by his or her own behavior. Changing the law can spark change, but smokers often need specific guidance on how best to follow up when they are motivated to throw away their cigarettes. That’s what you’ll find here. 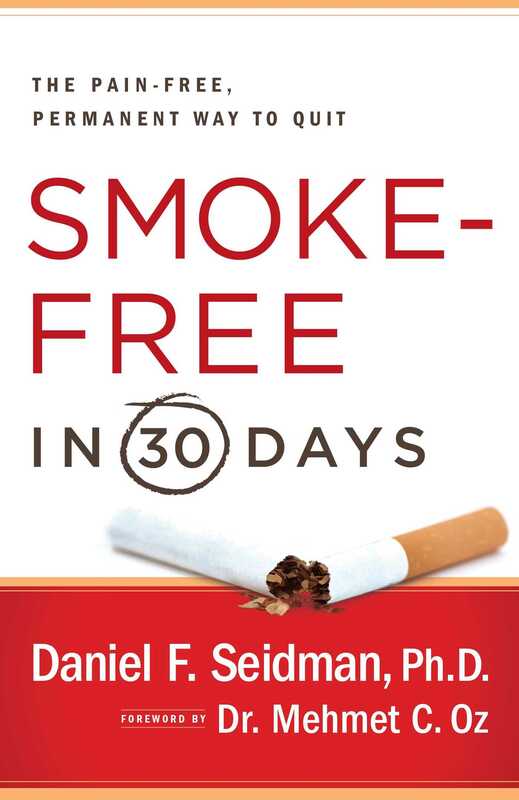 Dr. Seidman’s new book guides smokers through a 30-day program, complete with a day-to-day time line, to help them through the entire process of quitting—before, during, and after. The text is full of stories and case examples from his clinic and practice that help illustrate each recommendation. The goal of this book is to make quitting smoking—a task that can be confusing, overwhelming, and at times frustrating—as easy and straightforward as possible. To do this, Dr. Seidman helps the reader understand that the physical addiction isn’t the highest hurdle to overcome. The higher hurdle for many people trapped in an addiction to smoking is the loss of emotional confidence they experience. Many truly believe that they need cigarettes to get by in life. Smokers who successfully quit must learn to face life’s big and little stressors without smoking. The book takes readers through a clear step-by-step program, helping them rebuild their emotional confidence so they can outsmart the addiction and leave behind the mental compulsion to smoke and the emotional dependence on smoking that the chemical addiction breeds. There are powerful emotional obstacles that keep smokers stuck in their addiction. A person in the process of quitting will feel some discomfort, but the discomfort is OK. We are not comfortable being uncomfortable, and yet this feeling is part of changing our behavior and getting unstuck. Getting through the discomfort of quitting can help us learn to do better with other necessary discomforts in life as well. We have also learned about the powerful role of the family environment in influencing young people to take up smoking and how other smokers in the family can be powerful triggers of a relapse. This book offers a step-by-step program of guidance for smokers who are convinced that emotional and family stresses prevent them from quitting! If you are a smoker and want family members to better understand the problem you are facing, this book can help. If you are a family member or friend and want to understand how best to help a smoker, this book can help. Because this book is written by someone with deep knowledge and experience in this area, it will ring true to the smoker who is truly looking for a lifeline out of smoking. 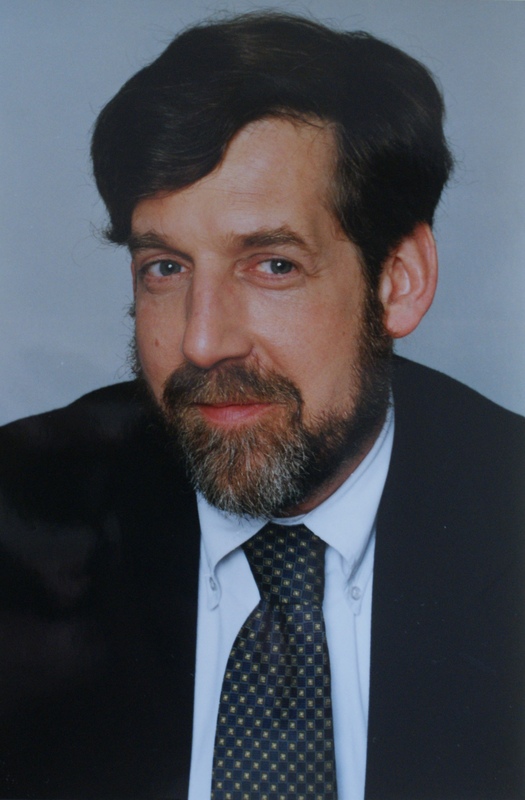 Dr. Seidman brings a wealth of 20 years’ experience to his approach to helping smokers. The wisdom learned through years of running a successful clinic is now available to you in this book, through a program which has already helped thousands achieve freedom from smoking! Perhaps you could do it alone, but why not make this as painless as possible? Why not make this task of becoming smoke-free as short as possible? Like a guide on a journey, Dr. Seidman has been along the path many times before. He can help you avoid the pitfalls and dead ends that demoralize so many smokers and lead them to go on smoking for many more years and to jeopardize their health. This in fact is the philosophy of the book: to make this journey as easy as possible for smokers and for those family members and friends who care about the smokers and wish them every success in becoming smoke-free. Read on and find a wealth of resources and information inside. © 2010 Daniel F. Seidman, Ph.D.
Why Will It Be Different This Time? Maybe, like millions of smokers, you have tried to quit and have failed one or more times. Or maybe, like millions more, you want to quit but are afraid it will be too difficult, that you won’t be able to handle the stress in your life without cigarettes. As a smoking cessation clinician and researcher, I have run successful programs at Columbia University Medical Center for the past 20 years. Most of my patients walk away smoke-free, and stay smoke-free. They are surprised at how easily they did it, or that they could do it at all! I’ve helped smokers with medical problems, mood problems, substance-abuse problems, and problems with the everyday stress of living. I want to share with you the strategies that spelled success for these smokers. As a clinical psychologist, my goal with all my patients is to help them change their thinking about how they approach conflicts and problems. A similar kind of shift in perceptions can help smokers lose interest in smoking. My 30-day program is based on my clinical practice, and on firsthand research with all kinds of smokers. It takes into account the fact that not all smokers are alike. Unlike other programs, it offers simple, straightforward methods that you can tailor to your specific needs and personality to overcome the particular emotional obstacles you face. Allen Carr, a reformed smoker, published an influential book in 1985. Carr’s book focuses primarily on the false mental beliefs that crop up around and perpetuate addiction. But it is not just false beliefs that create an obstacle to quitting for so many smokers. It is also the smokers’ automatic behavior patterns (habits) and their emotional attachment and connection to smoking. Despite this, Carr says: “Do not avoid other smokers” and “Do not change your lifestyle in any way purely because you’ve stopped smoking” (p. 207). Often, it is not enough to “give up” a habitual behavior, especially when that behavior involves an emotional attachment (however negative), without finding a new, more rewarding behavior or attachment. In other words, it is important to develop new behavior patterns to replace the old destructive ones. This makes it less likely that you will fall back into smoking. Once the old road (old behavior) is blocked off, with a little effort you can get used to taking a new road (new behavior) until it becomes second nature. However, what you can’t do is keep doing the same thing, or walking down the same road, if you want a different and a better outcome! As explained by Norman Doidge in his book The Brain That Changes Itself, there is growing evidence from the field of neuroplasticity that if an established pathway or “mental track,” otherwise known as a habit, is blocked and replaced by a new behavior, it is not only the behavior that changes. The brain can also reorganize and rewire itself in as little as “just a few days.” But Doidge explains that “quick learning” (daily, weekly) doesn’t necessarily become permanent, whereas sustained practice of new behaviors (over six months in some experiments) “solidifies the learning” by building “new connections” in the brain. This understanding fits well with the experiences of many smokers: some report a rapid adjustment to going smoke-free. However, it can take practicing new behaviors and new ways of thinking over time to solidify their gains so they can become truly at home in their new smoke-free lives. One of the most controversial statements Carr makes in his book concerns the belief that because nicotine is part of the problem, nicotine replacement therapy (NRT) cannot be part of the solution. Carr writes: “All NRT (nicotine replacement therapy) does is prolong the life of the little monster (the physical withdrawal/addiction), which in turn prolongs the life of the big monster (the brainwashing about the need to smoke)” (p. 183). The Smoke-Free in 30 Days program takes a very different position on NRT. Our program is fully compatible with NRT, and we also provide much-needed guidance on how to use it effectively. In my view, misuse and fear of NRT are two of the biggest reasons so many people have not had more success with it. In short, the Smoke-Free in 30 Days program is not just about changing the way you look at the smoking problem, although honing a positive mental attitude is indeed a key part of going smoke-free for good. This book focuses as well on efforts you can make, actions you can take, and concretestrategies you can follow, including the effective use of NRT, to make stopping smoking as easy and successful as possible. Once smokers release themselves from their dependence on smoking, they have to develop the emotional security to handle whatever life throws their way, and the clear understanding that smoking tobacco does nothing to help them cope. Although a small number of smokers may need to stay on NRT for a while after they quit, this is always far better for their physical and emotional health than smoking tobacco. Some people find NRT objectionable, but again, not all smokers are alike, and many people can benefit from this strategy. As this book will demonstrate, knowing what you as an individual need to do, and how you are going to handle your own personal triggers to smoke, is the key to completely and permanently losing interest in cigarettes. This is especially so for smokers who are not just physically and socially dependent on cigarettes, but emotionally dependent as well. During the Smoke-Free in 30 Days program, you will learn what you need to know to be comfortable without cigarettes. The program will help you: (1) build a commitment to going completely smoke-free; (2) attune both mind and body to being completely smoke-free; and (3) develop a game plan for “quit day.” You will also learn how to anticipate and deal with the emotional, situational, or physical problems—also called “smoking triggers”—you face, no matter what kind of smoker you are. This approach isn’t based on willpower, motivation, or luck; instead, it involves knowledge, effort, and commitment. Smoking addiction has many ways of holding you in its grip. I will show you how to stay one step ahead of this monster and outsmart it. The journey to becoming a nonsmoker involves two stages: before quitting and after quitting. If you are like most smokers, you will want to buy extra time before setting aside your cigarettes. With that in mind, I don’t suggest that you set a quit day right at the beginning of the book. In fact, I suggest that you continue to smoke as you read through Parts I and II of the book: “Your Smoking Addiction and How to Overcome It” and “Preparing to Quit.” By the time you have read these two parts, the fear you might be feeling now as you read these words will leave you, and you will be eager, even excited, about taking the next steps to achieving your goal! My clinic has helped thousands of all kinds of smokers, even the toughest cases, quit for good. The methods we use really work. If you read this book and follow the steps I outline, these methods will work for you, too. But Isn’t It Safe to Smoke Just a Few a Day? One study by K. Bjartveit and A. Tverdal* followed 43,000 people in Norway for more than 25 years. The results are not encouraging for those who wish to continue to have just a few cigarettes each day. The study concludes: “In both sexes, smoking 1–4 cigarettes per day was significantly associated with higher risk of dying from ischemic heart disease and from all causes.” The authors specifically warn health educators to emphasize more strongly that light smokers also endanger their health. Many smokers fail to quit because the fear of quitting prevents them from even getting started. Like people learning to ride a bike, they are focused more on trying not to fall down than on getting up and riding. For most people, once you get past the falling-down stage, your confidence goes way up even if there are a few bumps along the way. A lot of the failure that smokers experience results from exaggerated, irrational, phobic fear. When they do get around to the quit day, it is literally never as bad as they fear if they prepare, and follow through, based on the principles outlined in this book. We will help you hone your mental attitude through a step-by-step program of proven success. For some smokers those bumps along the way, or “relapse triggers,” are their highest hurdles. When we study smokers who relapse after a period of being smoke-free, two out of three of these relapses involve emotional discomfort and negative emotional experiences. As I will explain in this book, we don’t ignore a person’s emotional adjustment after their quit day, as many programs do; for those who need help after the quit day, this book will offer step-by-step guidance on continuing to live without smoking. If you are an addicted smoker who is trying to cut down on your smoking in the hope of being a social or recreational smoker, light smoking also may not help. Taking a cigarette, for an addicted smoker, is like throwing a steak to a beast in the brain. The beast gets stronger each time it is fed. The only way out is to starve the beast, to go completely tobacco-free. Addicted smokers who cut down may be getting less nicotine. However, “light smoking” can actually increase the reward value of each cigarette smoked. Light smokers may think that smoking fewer cigarettes makes them less addicted. In reality, each time they smoke, even if infrequently, the beast will be expecting another cigarette, no matter how long it must wait. The best plan in the world is of no use if it never gets implemented. Don’t think that in order to get started, you need to have everything figured out in advance. Many of the great accomplishments in life (which include going smoke-free!) are not achieved without periods of doubt and even a measure of crisis along the way. Try to start with a spirit of adventure. Remember your reasons for quitting, how you feel stuck as a smoker, and allow yourself to achieve progress over time. Try not to demand perfection or that Rome be built in a day. One day at a time for 30 days will get you where you want to be—smoke-free. Note: Throughout the book I discuss cases based on people who came to me to help them stop smoking. The names and identities have been changed to protect their privacy, and some are composites of several patients. * See K. Bjartveit and A. Tverdal, Tobacco Control, 14 (2005): 315–320. Daniel F. Seidman, Ph.D., is the director of the smoking cessation service at Columbia University Medical Center whose revolutionary techniques for quitting have been featured on Oprah, in The Wall Street Journal, and RealAge.com.